I'm writing with news about our on-air team in Washington. 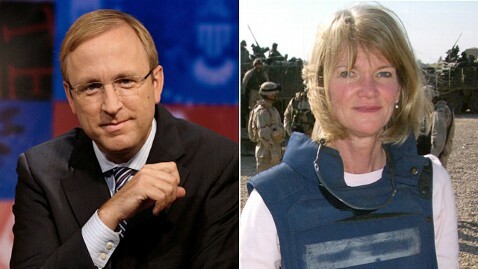 I am delighted to report that Jonathan Karl is our new Chief White House Correspondent and Martha Raddatz is taking on an expanded role as Chief Global Affairs Correspondent. As you know, Jon is a superb reporter determined to get answers from people in power and his journalism has been recognized with the most prestigious honors in our business. In his 15 years in Washington Jon has become a fierce government watchdog. His investigations into congressional junkets, empty federal buildings and questionable earmarks have uncovered billions of dollars in wasteful spending. For years he traveled the world for ABC News as Senior National Security correspondent, covering conflict in Sudan, elections in Russia and Iran's nuclear program. In the last year, Jon was often on the campaign trail, helping our audience get past the political rhetoric. His well-sourced reporting gave our viewers an inside track on the veepstakes as the Romney campaign whittled down its list of candidates. Jon's reporting on Capitol Hill drives news cycles and he'll bring his relentless curiosity to the White House. For nearly 20 years, Martha has demonstrated the ability to paint vivid and insightful pictures of the world - reporting from the Pentagon, the State Department, the White House, and from conflict zones around the world. She has made dozens of trips to Pakistan and Afghanistan and reported from Iraq on more than 20 occasions where she took viewers to the front lines while also shining an important light on the home front and the human impact of war. Respected by colleagues and sources as an intrepid journalist, she regularly provides viewers with behind-the-scenes accounts of the major headlines of the day. Martha's reputation as a strong and thoughtful journalist was evident to many millions this Fall when she moderated the Vice Presidential debate, posing tough questions and leading a civil and productive discussion. In addition to her role as Chief Global Affairs Correspondent, Martha will become the primary substitute for George on This Week and will contribute regularly to the roundtable. Jon Karl will also serve as a substitute on This Week and regularly appear on the roundtable. Jake is leaving ABC News for an opportunity at CNN. You'll hear more about his new anchor role from his new network. For years, Jake has set the pace for the White House press corps. A ferocious reporter - and now a best-selling author - he has built a reputation as one of the most prolific and multi-talented journalists on the beat, scoring scoop after scoop. For the last three years his fellow White House correspondents have honored his work with a streak of Merriman Smith Awards for Presidential Coverage under Deadline Pressure. Please join me in congratulating Jon and Martha and wishing Jake the best.